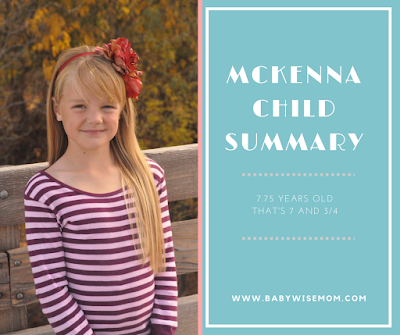 This is a summary for McKenna from 7.5 to 7.75 years old. Eating is normal for her. That means she eats a lot and likes to eat healthy foods. Sleeping has been great! We have continued the schedule change I talked about last time of doing family scriptures in the morning instead of the evening. This means she is able to get to bed earlier, and it really makes a huge difference on her tendency to argue. Sleep has a huge impact on her behavior. School is going really well for McKenna! She is having a great year. She really likes her teacher a whole lot. I find it so interesting how different personalities mesh with each other differently. McKenna is such a fun-loving person that I was sure she would prefer the fun-loving and outgoing teachers. While she loved them, she has loved every teacher she has had, she really thrives with the type of teacher she has right now. Her teacher now is chill. She doesn’t get mad, and she also doesn’t get overly excited. It is actually a very similar personality to mine. Her emotions are very stable. 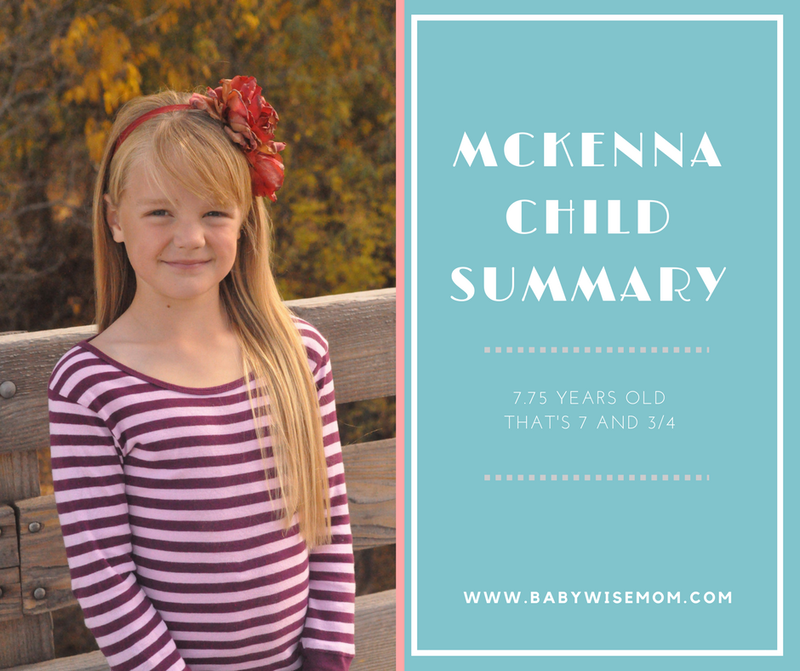 McKenna has really thrived in that environment. McKenna at the school’s Evening of Art (like reflections). She did great! Here she is showing her first place in music. In saying that, I don’t mean her other teachers haven’t been fantastic and that she didn’t do well in school before. I just mean she does best with the more even-keeled teachers, which is not what I assumed would be true a few years ago. Last time, I talked about how she wanted me to not read aloud to her anymore. I recently decided the best way to fit in reading to all of the children right now is to find a book I can read to the three older children at the same time. It isn’t my ideal. I would prefer one-on-one. Life just isn’t allowing for that to be a consistent daily thing. I was addressing that by taking turns with the kids, but I think I would rather read to them each day at the same time than have weeks where they aren’t read to. With our house addition, I often have long spurts where my husband can’t help with anything around the house. This past fall, we had 6 solid weeks where he went to work, came home, and worked on the addition. He was working furiously to get the outside done and dried in for winter. With the added burden, I couldn’t possibly read to 4 kids individually every night. So I read to Brinley individually (and since our big push, my husband usually comes in and helps put Brinley to bed and reads to her). Then I am reading a book to the three older kids. It was tricky finding a book they could all agree on. They all have different tastes in books, the most obvious being Brayden’s leaning toward fantasy-type books (like Fablehaven) or World War II Historical Fiction, and McKenna leaning toward more girl-oriented books (like Whatever After and Nancy Clancy). So I got ahold of our swim teacher who is also the gold team coach. We got a try-out taken care of and McKenna was ready for swim team. I felt bad that I had encouraged her to go toward gymnastics when she clearly prefers swimming, but our swim teacher said she thought it was a good thing. Because of this experience, she knows she misses swimming more than gymnastics. So it helped her learn better what she prefers. I thought that was a good point. She has only been on the swim team a couple of weeks, but she very much loves it. She comes home completely exhausted, which I have never seen before! McKenna’s never tired physically. So that is fantastic. I know it won’t last forever. Once she builds up her endurance for swimming, it won’t be as tiring for her, but it is great for now. And she doesn’t hate it! Brayden hated it for a little while–during the time he was building his endurance. She just asks for more. A nice perk for the family is that her practice times are the same times as Brayden’s (Brayden goes more days a week, but her days are at the same times as his). So it feels like we just cut out something. McKenna just shifted, but it freed up the family quite a bit. McKenna is also taking piano lessons and doing well. 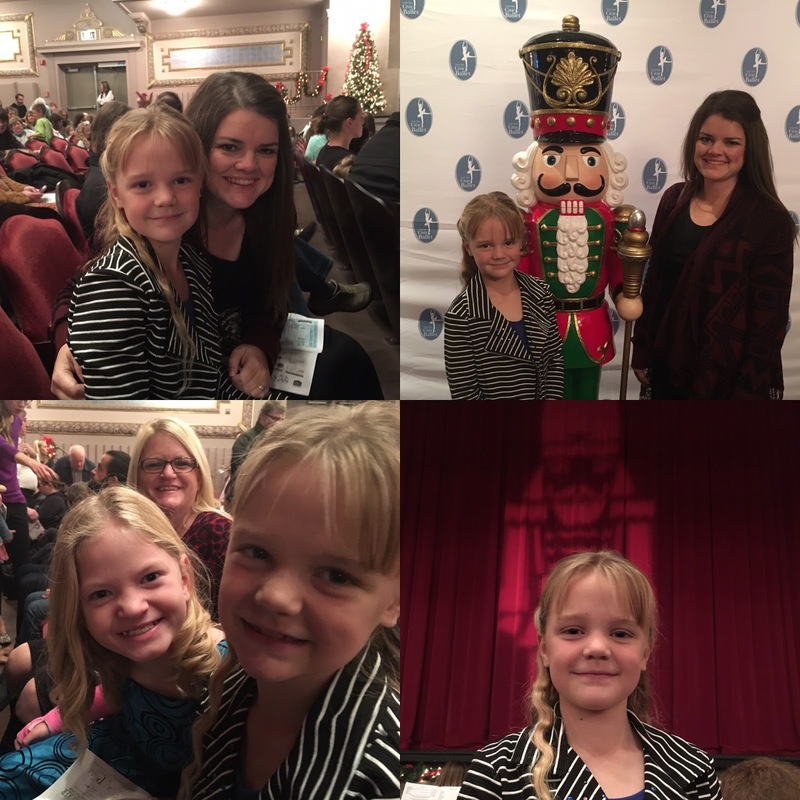 She is also in a Musical Theatre Dance class. she is enjoying that a lot. Last year, she took dance off to do cheer leading. 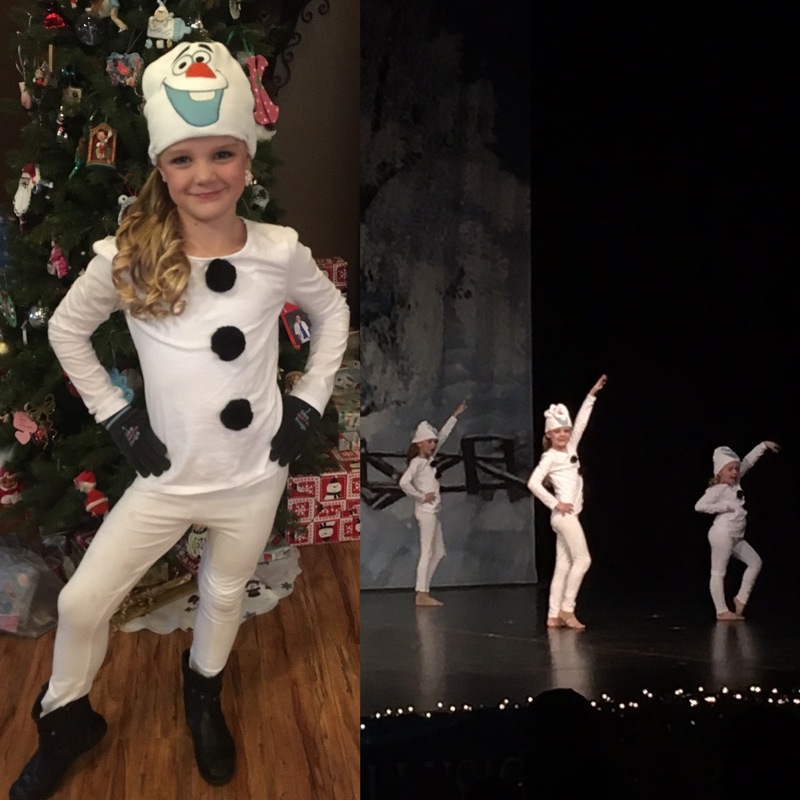 This year, she went back to dance. Finally, McKenna is hard to shop for. Not because she is picky, but because she is NOT picky. She likes everything, but also isn’t so much into toys as she is into doing things. So for Christmas, we got her a punch pass to a rock-climbing house. She LOVES it. She was so excited about the gift. I love experience gifts because they don’t take up space in the house.